Hard cider is a fast-growing segment in the U.S. fermented beverage industry, and New York’s position as a leader in craft beverage production and expertise is paving the way for cider producers to succeed. Merwin notes that the benefit of cider makers working with both Gerling, extension associate in the Department of Food Science, and Peck, assistant professor in the horticulture section of the School of Integrative Plant Science, is that they can gain expertise on both ends of the spectrum—when growing the cider apples and when making the cider itself. Recently Gerling and Peck received major awards from the cider industry. Gerling was given the Apple of Appreciation award from the New York Cider Association (NYCA), and Peck was chosen as the Grower Advocate of the Year by the U.S. Association of Cider Makers (USACM). 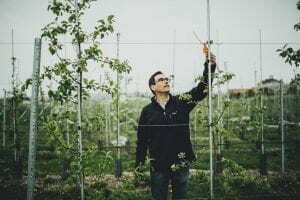 Chris Gerling, who began his career offering extension expertise in the field of enology, found a natural transition into hard cider extension work. Wine and cider have many similarities, including the types of yeast used and the effect of climate, soils and terrain on the overall flavor profile. 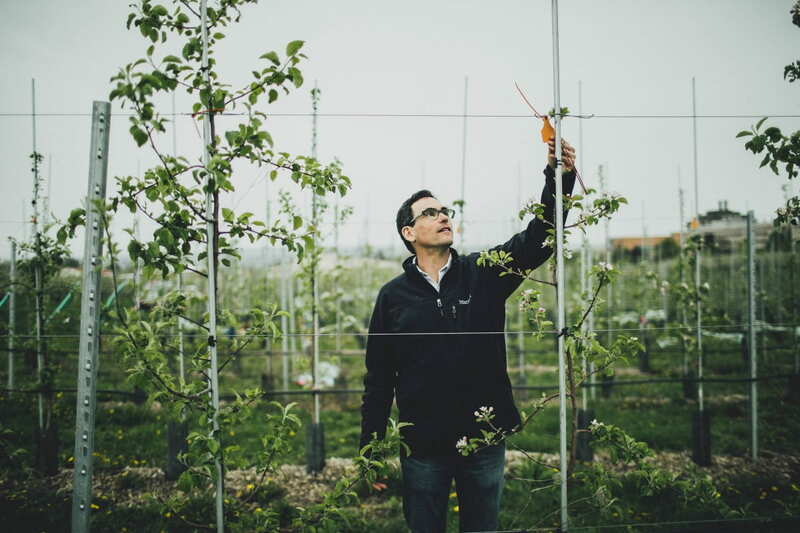 Greg Peck’s research explores ways to increase the quantity and quality of New York–grown cider apples, including best practices for fertilizer, crop load and harvest management. Peck also helps cider makers select varieties that will work best for high-quality and flavorful cider. Michelle McGrath, executive director of the USACM, said the organization’s members overwhelmingly voted for Peck to receive the Grower Advocate of the Year award. While hard cider makers have many valuable resources in New York, the recent awards for Gerling and Peck underscore the fact that producers value experts who can help them piece together the many components that equate to a high-quality end product. 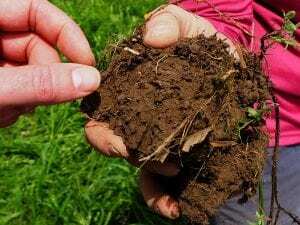 Roadmap points way to better soil health in N.Y. Soil at Cornell’s Musgrave Research Farm in Aurora, New York. There is a revolution of sorts going on in farming today, triggered by discoveries in plant and soil ecology, and a recognition that we will need to restore the health of our soils to feed an expanding population. New York has been a leader in this soil health revolution, but where do we go from here? This is the focus of the recently released New York Soil Health Roadmap, a collaborative effort of the New York Soil Health (NYSH) initiative coordinated by Cornell. The roadmap identifies key policy, research and education efforts to overcome barriers to adoption of soil health practices by farmers. It also identifies strategies for integrating soil health goals with state priorities focused on environmental issues such as climate change and water quality. Roadmap contributors developed four goals for advancing soil health. The goals include overcoming barriers to wider adoption of soil health practices, and the integration of climate change adaptation and mitigation in all aspects of soil health programming. 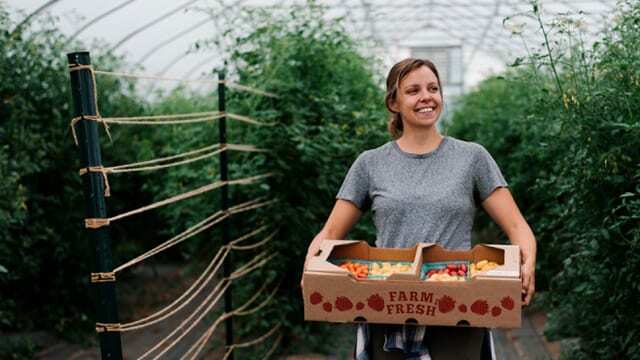 As a resource for policymakers, researchers, farmers and those concerned about healthy food and a healthy environment, the roadmap comprises input from many individuals, organizations and government agencies in New York and nationally. It is intended to help expand soil health policy, research and outreach efforts to reach New York’s underserved. After years of advocating for funding to improve the infrastructure for grape research, U.S. Sen. Charles E. Schumer (D-N.Y.) announced Feb. 26 $68.9 million to build a new federal grape genetics research lab at Cornell AgriTech in Geneva, New York. The funds will come from the United States Department of Agriculture (USDA) Agricultural Research Service (ARS) Building and Facilities budget. “The grape industry plays a fundamental role in the upstate economy, and I’ll always fight for the investment needed to keep it from going sour,” Schumer said. 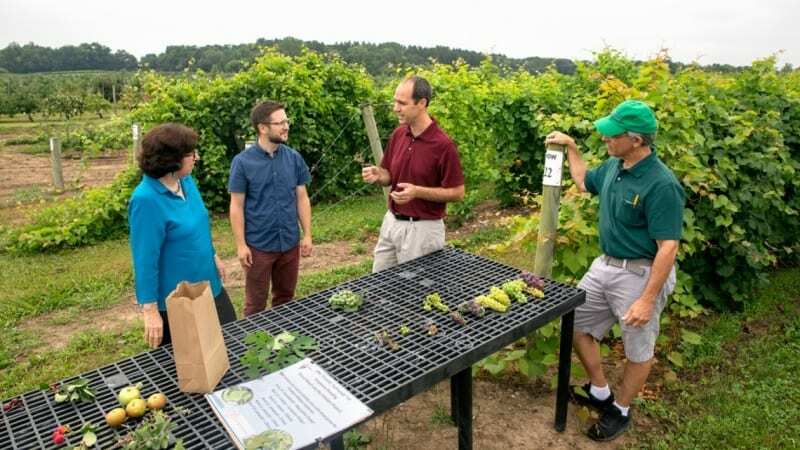 Indeed, the New York grape industry produces $4.8 billion in annual economic benefits for the state, through 1,600 family vineyards that cover close to 40,000 acres, according to the New York Wine and Grape Foundation. The grapes grown on these farms feed the juice, wine, raisin and table grape industries. 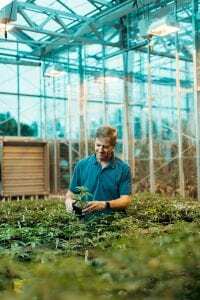 Larry Smart examining hemp plants in the greenhouse at Cornell AgriTech. Good news could be coming soon for anyone interested in hemp, the THC-free, no-high strain of cannabis whose use ranges from fibers to food to pharmaceuticals. If the 2018 Farm Bill passes Congress in its current form, growing hemp would be legal and products derived from hemp would be removed from their current legal gray area. Universities and private research teams have been busy studying hemp pests, genetics, and other cultivation questions since Congress legalized the research in 2014. 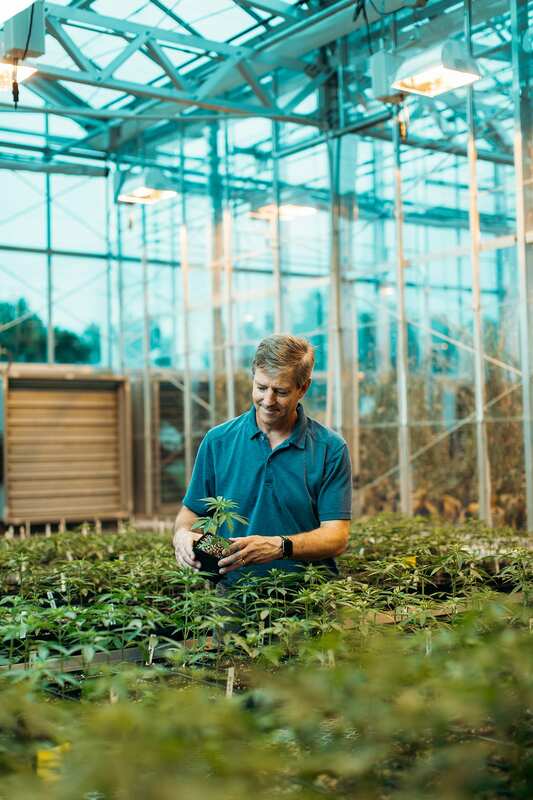 Cornell horticulture professor Larry Smart explains why a plant that hasn’t been grown legally in the U.S. for nearly a century will require a monumental effort from scientists to catch up to crops like soybean and tomatoes. If you missed Monday’s Horticulture Section seminar, Cover crops for enhancing soil health in vegetable production with Thomas Björkman, Horticulture Section, it is available online. 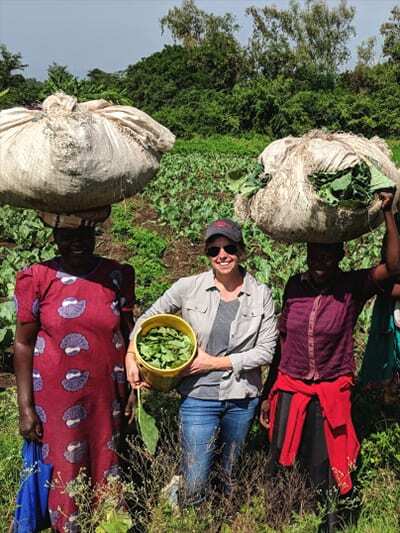 Hannah Swegarden was one of the investigators for the 2018 TSF-funded project, Connecting Consumer Acceptability and Farm Productivity to Improve Collard Varieties for East African Growers. 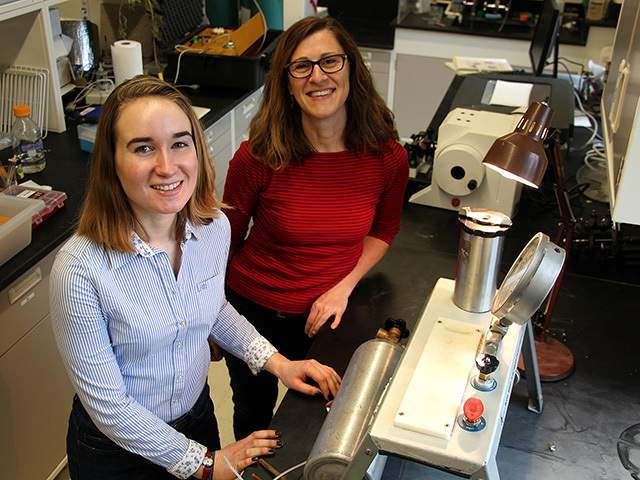 For more nearly 20 years, CALS has bolstered its sustainability research with a steady stream of gifts from the Toward Sustainability Foundation (TSF), a Massachusetts-based organization founded by an anonymous, eco-minded Cornell alumna. 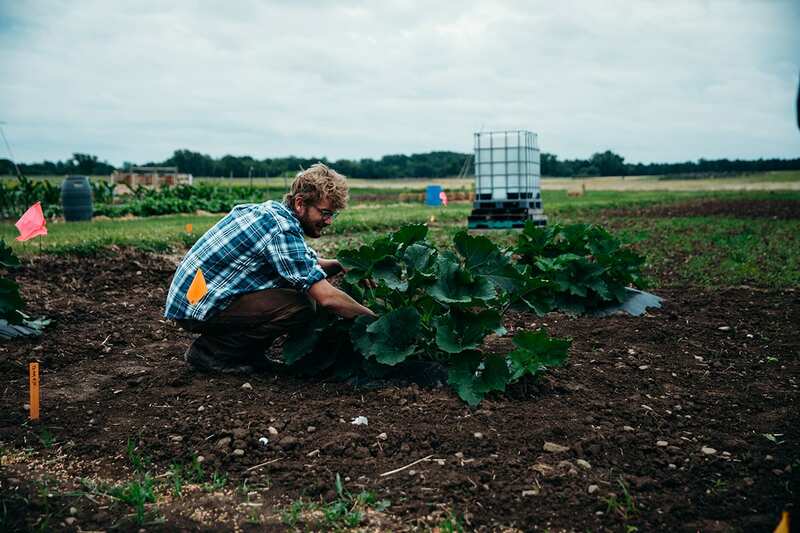 Since 1999, TSF provided more than $1.5 million in funding for more than 100 faculty and student projects that examine the technological, social, political, and economic elements of sustainable agriculture. Read more about TSF grants, download the full Request for Proposals, and view titles and contacts of recent projects.